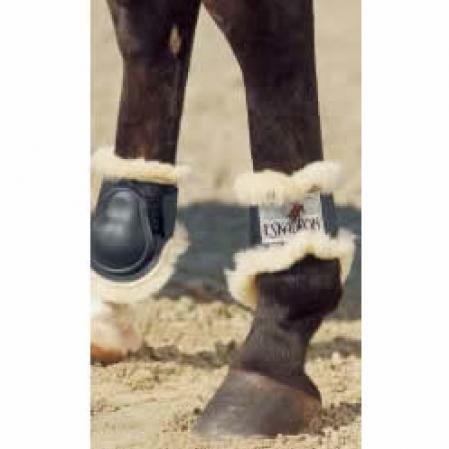 Worldwide delivery of Equestrian Tack from Eskadron including horse boots. Free next day delivery in the UK for most in stock orders over £50. 5 stars the matching fetlock boots make the set even better! Sheep Skin lining for horses with sensitive skin. Care Instructions Hand Wash in cold water using only special sheep's wool detergent and care products, dry in the open air. Do not expose to a direct source of heat or bright sunlight.